Last September, the Council on Tall Buildings and Urban Habitat invited me to serve as the special media correspondent for its Shanghai symposium, entitled Future Cities: Towards Sustainable Vertical Urbanism. I conducted video interviews with dozens of architects, developers, building managers, and others on topics relevant to tall building design and sustainable urbanism. 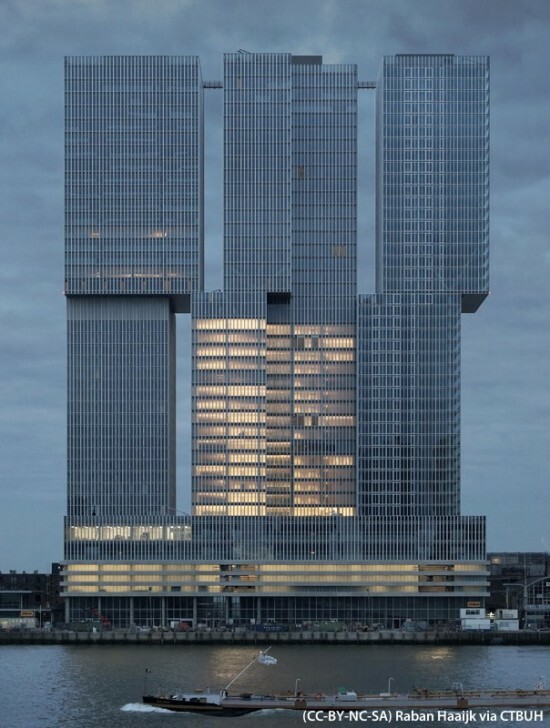 Among the many designers, engineers and other tall building types I interviewed were Jos Melchers of MAB Development & OMA partner Ellen van Loon. We discussed the design of De Rotterdam, an innovative mixed-use development that won CTBUH’s 2014 Best Tall Building award for Europe. 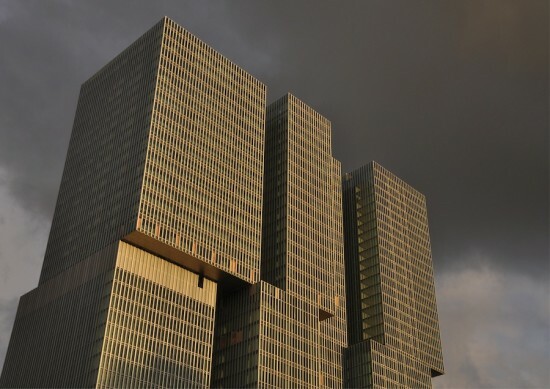 De Rotterdam’s design resembles several skyscrapers stacked closely together, with bridges and protrusions in the facade connecting them into a single, flowing mass. Van Loon said it was a challenge to temper the community-building aspect of the building’s connections with their potential to create confusion in the program or an overwhelming presence on the skyline. The result was the largest building in the Netherlands, but one that developer Jos Melchers said still respects the site.